This 80 lb. 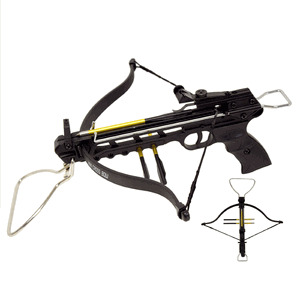 crossbow pistol features an all metal body, heavier weight and more sturdy. Includes foot pull for easier cocking. Comes with 3 metal bolts.